Post-Hindu India, published in 2009. The booklet became controversial, thus catching the ire of the Vyasa community members for naming their community as 'Social Smugglers'. The author clarified that his book actually aims at removing the social evils to herald an egalitarian and healthy society that is free from caste prejudices. 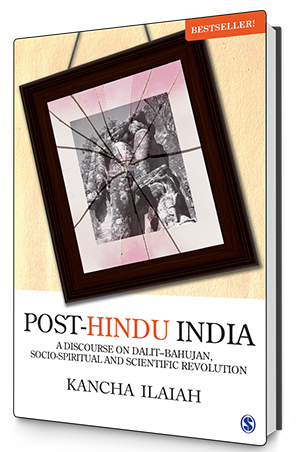 As the author says in Post-Hindu India “…the book was born out of a gut feeling that the Indian nation is on the course for a civil war; a civil war that has been simmering as an undercurrent of the caste-based cultural system that Hinduism has constructed and nurtured for centuries.” He pens a thought-provoking critique of Brahmanism and the caste system in India while anticipating the death of Hinduism as a direct consequence of, what he says is its anti-scientific and anti-nationalistic stand. Get your own copy to know more! "The book is a passionate attempt to quench the thirst of the activists who hope for a social revolution." India is doing an amazing job so far but I really hope that the government does something about poverty soon because it is already getting really out of hands.